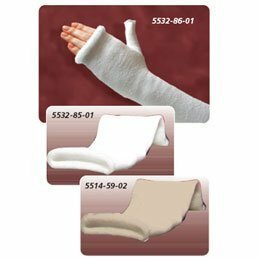 This Listing Is For Delta Terry-Net Thumb Spica Liner;Qty : Box of 10;Size : 2 X 16 (5.08cm);Short Arm A built-in thumb liner saves time Enhances fit and is available in a variety of sizes to accommodate most patients. ;This item may differ from the image shown. This item may be a replacement or optional part for the image shown, or differ in model, color, etc. Please review the title and features carefully.